Loving Tanâs Bronze Shimmer is an innovative, versatile cream which instantly enhances, illuminates and bronzes your skin for the perfect glow. Wear it on its own to deepen your natural skin-tone, or over your tan for the ultimate luminous bronze finish. 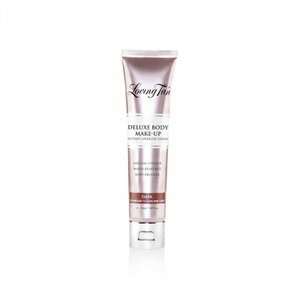 This tan enhancing formula is transfer resistant and contains micronized pigments providing a natural soft-focus effect. Enriched with Aloe Vera, Coffee & Pomegranate extracts, it will leave your skin looking radiant and feeling silky smooth. Perfect for medium to dark skin tones. Apply to clean, dry skin in sections using your Loving Tan Deluxe Applicator Mitt, working on one area of the body at a time. Can be layered for a deeper colour. Allow 60 seconds to dry before dressing. Easily remove from body with warm soapy water and the Loving Tan Tan Removing & Skin Polishing Glove. Cocoa Brown Gentle Bronze Rakakrem. 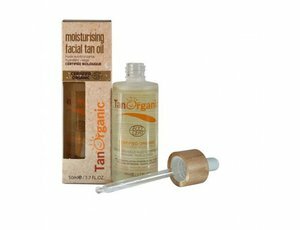 Tan Organic Facial Self Tanning Oil 50 ml.